"I promise to do what I criticized the administration for doing a couple months ago..."
In July, a U.S. Department of Health & Human Services memo announced that secretary Kathleen Sebelius will use the department's statutory authority to consider state waivers for welfare work requirements, granting states more flexibility and allowing the possibility of achieving their goals with greater efficiency. Republicans immediately attacked the move as a political act intended to gut work requirements resulting in an increase in government dependency, translating into more Democratic voters, because as we all know from Mitt Romney's secretly recorded speech to millionaires, those who are on the government teet and who feel entitled to such things as food or shelter are automatically in the bag for Obama. 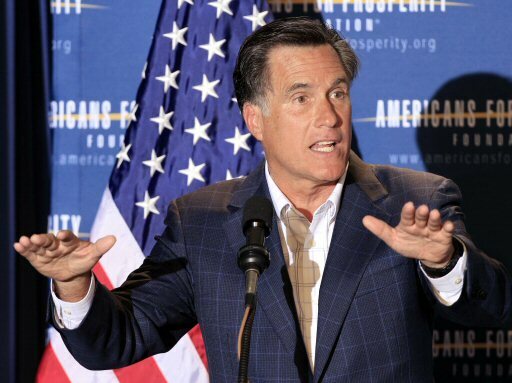 Even Mitt Romney himself has personally attacked the administration's move to give the states more responsibility for programs that they can implement more effectively, even after being one of the governors who had petitioned the federal government in 2005 for greater flexibility with the welfare work requirement. Even though Romney's claims have been thoroughly debunked time and time again, Romney has refused to acknowledge his lies stating the following: "Well, we believe it's accurate." Despite believing in something when the facts just aren't there, Mitt Romney has decided to one-up his attack on the administration by now promising the same exact thing in fliers to swing states where the president is leading in the polls, such as Florida. 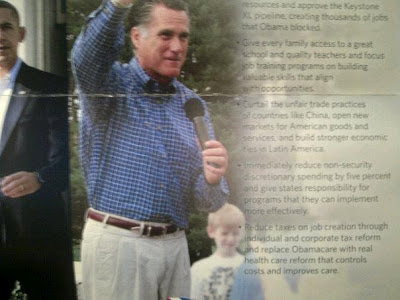 In the advertisement, Romney promises Floridians to "give states responsibility for programs that they can implement more effectively." This is exactly what the Obama administration had done and what Romney had criticized for months. Will this subject be addressed in the upcoming presidential debate this Wednesday?